April showers bring May flowers. We’ve all heard that before. 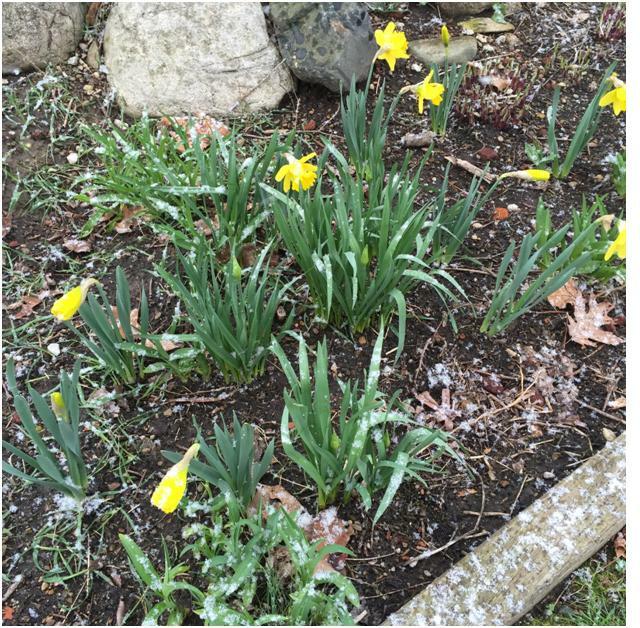 It’s April, we’re supposed to have rain and daffodils popping up from a long winter’s nap. Today here in Indiana, it’s snowing. Two days ago it was so warm, people were out in tee shirts and jeans. Not shorts, yet, but you get the idea. Since we are at the beginning of the month, it’s Book Birthday week for our talented author friends, Melinda Curtis, Liz Flaherty, Cynthia Reese and Leigh Riker. Get a load of those covers! I’ve ordered my copies, have you? I can’t wait to read them all. Rula’s ever brilliant imagination spawned the idea for us to investigate BIRTHDAY FLOWERS for each month. What I loved in this research is that every flower has a meaning and some are so poetic it made me feel I was walking through the pages of a Jane Austen romance. I love the Romantic Period and we are sure a lot of you do as well. Rula here (waving) and, Catherine, you're making me blush like a rose lol ;). I wouldn't call myself brilliant, but I'm definitely with you on being a romantic. Everything is in bloom in my area of Virginia and though a stuffy, allergy nose isn't romantic, the flowering trees and bulbs are indeed. We hit unseasonably warm temps on Friday (almost 80F)...then fell to below 20F wind chills over Saturday night into Sunday with that giant storm that came through. The 60mph winds we had blew flower petals everywhere, and although we didn't get snow, the petals flying off our Yoshino Cherry trees looked like a blizzard! Anyway, all these flowers made me wonder if the meaning behind birth month flowers really matches up with the personalities of people born those months. In my experience, horoscope sign descriptions can be uncanny, as can the meaning behind birthstones. So what do you all think? Do you love your birth month flower or is your favorite from a different month? What about the meaning? And to writers out there, do you ever wonder about the birth month flower of your characters? Check out the list below (and many thanks to Catherine for all the research). NOTE: Excerpts in italics below taken from 'Birth month flowers and their meanings' at The Old Farmer's Almanac - http://www.almanac.com/content/birth-month-flowers-and-their-meanings. Visit the link for more photos and information. The Almanac is a great resource for gardeners, weather etc... and they have an article on birthstones as well! White carnations mean pure love, striped carnations means regret that a love is not shared, and yellow means rejection or disappointment. 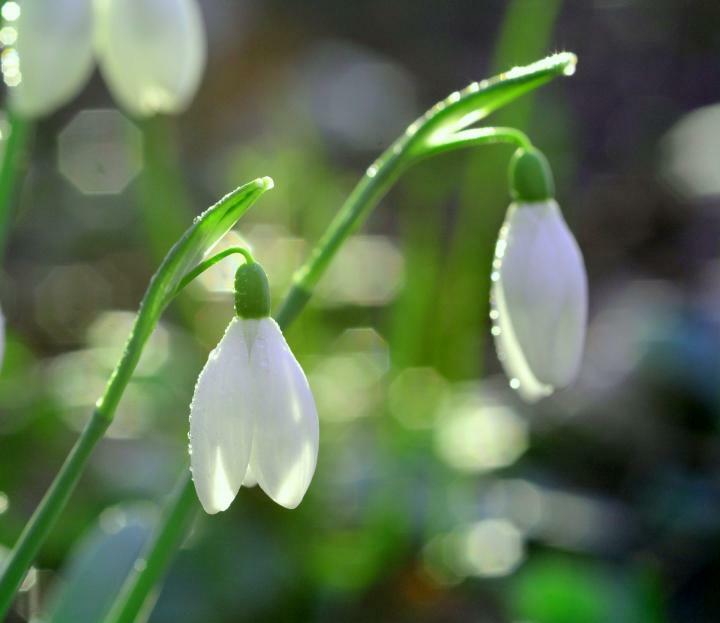 The snowdrop used to be considered bad luck because it always seemed to appear to grow in graveyards, but nowadays this delicate flower signifies hope and beauty. The violet signifies watchfulness, loyalty, and faithfulness. The other February flower is the primrose, which lets someone know you can’t live without them. The daffodil stands for unequaled love, so giving this flower to someone expresses quite a lot. With their bright yellow petals, daffodils seem the perfect way to say that the sun is always shining whenever your significant other is around. 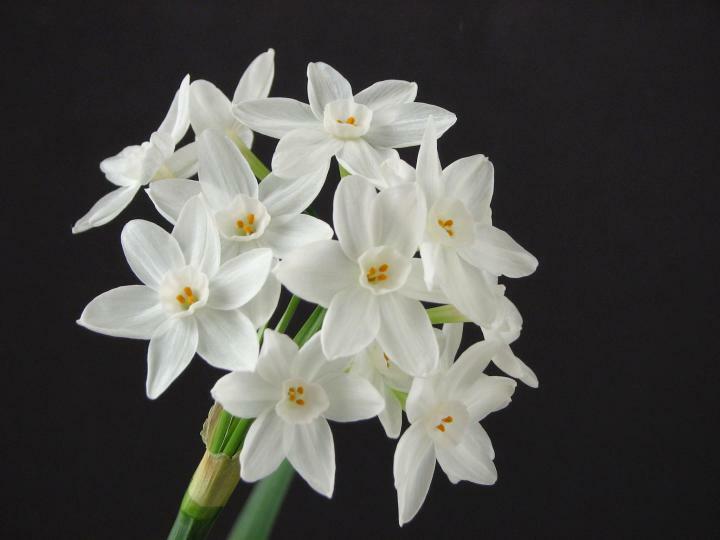 The other March flower is the jonquil, which actually is a particular kind of daffodil. It signifies a desire that affection be returned. It also is used to convey sympathy. The fragrant lily of the valley signifies sweetness, humility, and a return to happiness. If you want to show your loved one that your life is complete with them, give them a few lilies of the valley. The other May flower is the hawthorn plant, which represents hope and supreme happiness. Hawthorn signifies that you want only the best for the recipient. · Purple normally represents a first love. Generally, larkspur indicates strong bonds of love. Aside from being lovely in their own right, water lilies are often used in ponds to deter the growth of algae and to shade and cool the water for resident fish and frogs. The gladiolus, or ‘sword lily,’ represents remembrance, calm, integrity, and infatuation. The other August flower is the poppy. Asters are mainly symbols of powerful love. Perhaps because of their positive symbolism, according to folklore they were once burned to ward off serpents. The other September flower is the morning glory. Morning glories are simple symbols of affection. Those who rise early may be able to watch their lovely blooms open. Morning glories generally curl closed late in the day. Marigolds are often given as a sign of warm or fierce undying love or as a way of saying that you’re content to be with the recipient. Cosmos are a symbol of order, peace, and serenity. The holly symbolizes your wish for domestic happiness. The narcissus conveys that you want your beloved to stay just the way they are. 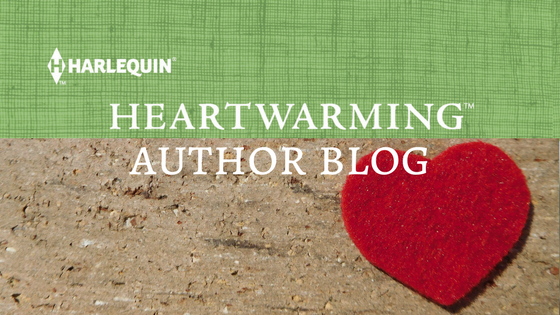 Also, don't forget to check out the Harlequin So You Think You Can Write Heartwarming Blitz! Tons of writer information you don't want to miss! 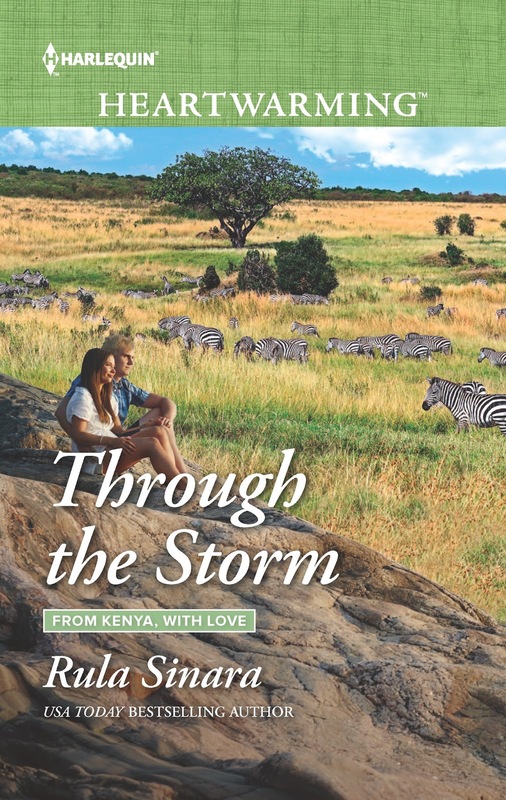 For those who might be interested, I'm running a Goodreads Giveaway (April 4-17) for my upcoming release (book 3, From Kenya, with Love series...April 19 in print and May 1st digital), Through the Storm. You can enter HERE or add it to your reading list! AND if you're a reviewer, it's available now on Netgalley! 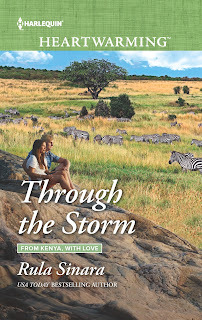 Many thanks in advance if you post a review or add it to your TBR pile! 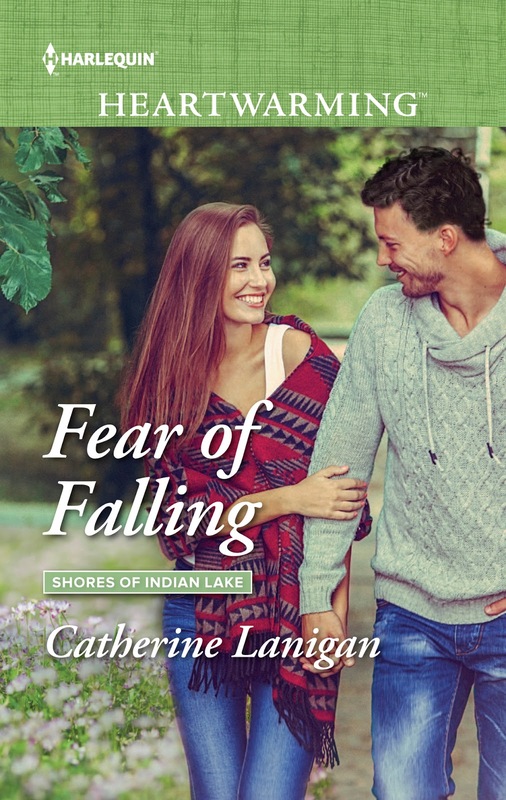 And be sure to grab Catherine's latest Shores of Indian Lake story (released February), Fear of Falling, if you haven't already! We can always count on you, Rula and Catherine, for a fun and entertaining post. I knew that my birth flower was the gladiolus, but I never knew that each month had two flowers. Thank you for enlightening me! The April books all sound fabulous! Congratulations on your new releases, ladies. And, good heavens, congratulations on your rleases. Your covers AND your stories are wonderful as always! I love poppies too...and that poem! I'm a March baby and the meaning for daffodils/jonquils fits, but from the list, I love violets and mums (all the colors!) in terms of looks. Love, love, LOVE this, ladies...especially the Lily of the Valley insertion! Can't wait to dig into your stories! Here's hoping your Tuesday is terrific! This was so much fun, Loree! Glad you liked it. Since are to have snow tomorrow... I have to be happy with pictures of flowers!! Glad you liked it, Loree! Things were blooming here, but like Catherine, we're expecting snow by Saturday. It's freezing today (after we had such warm weather). You two really did your homework. I've always loved my birth month flower, March's daffodil, because it means Spring is on the way! Your books look intriguing. Good luck! Honestly.. I wonder if we'll have spring! Thanks for the compliment! We loved doing it! Thanks, Amy!! I love that you just read about this. Must be the time of the year. But I also remember in the movie, Kate and Leopold, Hugh Jackman was telling Meg Ryan's brother, Charlie, about the meaning of each flower and what the sender was trying to say. Love that movie. Thanks, Amy!! I find the language of flowers fascinating. In fact, my high school senior recently asked a girl out for prom (the asking part is all new to him...his younger brother, however, has been asking girls out since preschool lol) and I was trying to explain that he needs to think about the colors and types of flowers he buys her because of all the different meanings. He looked at me like his head was spinning. Poor guy. Who knew dating could be so complicated lol ;). Rula, I love this story! Poor boy. I feel for him. Prom is so intimidating for the boys and girls. Now, he's got to think about the meaning of the flowers he picks? Thanks alot, Mom and her pal, Catherine! Man, you have to be on your game to send messages with flowers. I'm with you!! I'll never randomly send flowers again. Not to mention, what is my own garden saying to me! Yikes! No kidding, Mel! We need flower dictionaries on hand. And Catherine, your reply about your garden made me laugh ;). Hi, Guys! Thanks for all that fun information, and congratulations on your wonderful books. Carnations are my birth flower and I've always loved them because of their spicy scent and their affordability! We have a clump of snowdrops in our backyard in front of a little statue of Budha. They cheer me every time I see them. Oh, Muriel, I love carnations and they won't grow for me. I hate that. I think I'm too shady for them. I've always wanted to grow Stock as well which is very spicy. I love carnations too, Muriel! Beautiful, colorful, affordable and they last! Love all of the flowers and books. What better way to kick off a new spring month? I agree, but you've had some nice spring there in Arizona. Now if only I could plant annual flower seeds. We keep getting freeze warnings. The early spring we had was just a tease! Ahhhh....all these flowers make me want to garden. But I kill everything I plant. Saving this for future reference!! Great post, ladies. :) And happy sales! Anna, And the worst is that we have a sunny day here and NOW they say SNOW for tomorrow. I can't win. Okay, Anna, we'll have to get you one of those potted cactus plants with the fake flowers stuck in them ;). I love cactus plants, but I don't think a date would like whatever message that carried though lol! Prickly and fake? Or I'm hard to kill...I'll stalk you forever. Or on a positive note, maybe it could represent endurance, undying love, protective...if you gave it to someone ;). Thanks for all this great info on flowers. Mine is October. Those flowers are okay, but my big favorite is the sunflower. Ah, Linda, the sunflowers! 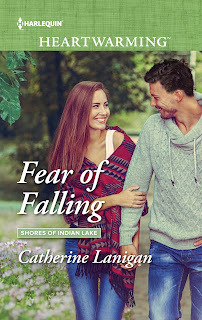 In half of my Indian Lake books I talk about Sunflowers. I love them. Lemon Queen. Russian something or other...that dark burgundy one. I love them all. And we have the Sunflower Festival here in my hometown which my sister started nearly 20 years ago. I know she's looking down from heaven and saying, "See, those sunflowers deserve a party!" Linda, I LOVE sunflowers and October is my favorite month! Mine is October, too, and I do plant a lot of marigolds even though I didn't realize I was sending a message. I wonder if the writer of "Yellow Rose of Texas" realized it conveyed jealously. He did say she beat the belles of Tennessee. Ha!Beth. That's cute! My husband adored marigolds and I plan to plant them every year in his memory. My father sent my mother yellow roses at least once a year for 43 years. When he got off the ship after WWII, he went to the florist in Seattle and wanted to send red roses to my mother. But they were out. All they had was yellow. So he emptied his pockets and sent as many yellow roses as his cash would buy. When he died, we covered the casket in yellow roses. I still think they're very romantic. That's so romantic! I always thought yellow roses symbolized friendship...which would make his giving her yellow roses for 43 years a very beautiful thing :). I plant tons of marigolds too, Beth! Yellow roses for 43 years - so romantic. It must be genetic. Beth...I gotta tell you...you are right. His favorite holiday was Valentine's Day. He always brought my mother something special and we would wait all through dinner to see what was in that little box from the jeweler. Usually, it was costume jewelry, but it was so dramatic. I loved it. Then, to put his mark on his life, he died on Valentine's Day!!!!! Can you believe that???? What a great post! Didn't know January's flowers were the carnation and snowdrop. And I love marigolds! I didn't know the flower details either. Great photos. I'm fighting to keep my Easter flowers alive. Biggest detail: keep watering.